Remodeling a kitchen accomplishes many things. It improves the functionality of the space and makes it easier to maintain. Perhaps most importantly, it makes the kitchen far more comfortable and inviting. ProSource® of Bridgeville offers wholesale kitchen remodeling products that enable you to completely transform a kitchen. Due to the need for so much storage space in a kitchen, there is little room for decorative features. But with new kitchen cabinets from ProSource, you’ll blend function and fashion, and we offer cabinetry that appeals to any taste or use preference. 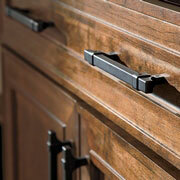 For an added personal touch, you can select cabinet hardware from a wide range of choices. Eye-catching handles, pulls, and knobs can grace the front of the cabinets, adding a touch of sophistication you may not have known was possible. ProSource never fails to offer the best quality kitchen countertops from respected brands, made with high-quality material like marble, quartz, granite and even recycled materials. 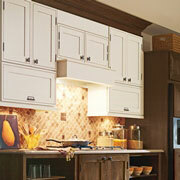 Browse our selection with one of our kitchen designers to find the right fit. 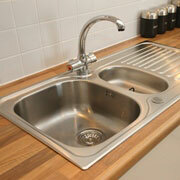 A new kitchen sink makes meal preparation and clean-up more convenient and enjoyable. Ask our designers about our single-, double-, and triple-basin options in fine finishes like stainless steel and cast iron. 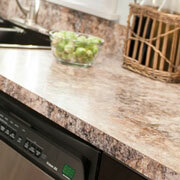 We also offer options that can be mounted above, below, and within the countertop for a truly customized appearance. 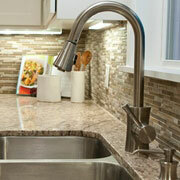 A new kitchen faucet can help a kitchen sink stand out. With beverage and pot filler spouts, in addition to new styles and forms, you will love everything a new kitchen faucet offers.